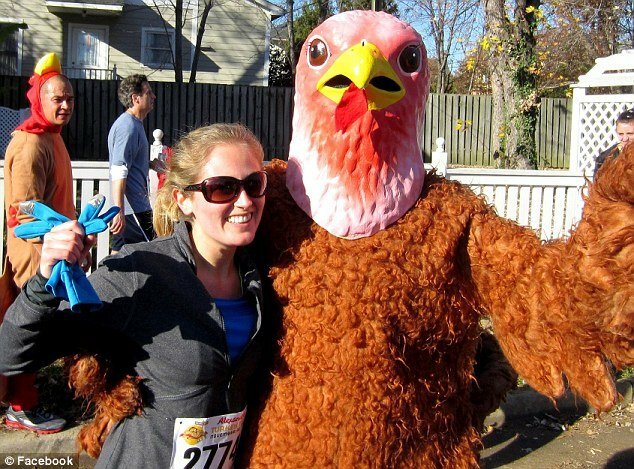 General David Petraeus’ daughter Anne beamed as she blogged about her Thanksgiving Day, spent with her new husband Matt Mauney – as the couple ran the “Turkey Trot” run near their home alongside her brother Steve. Anne Petraeus, 30, showed no signs of the fallout over her father’s affair as she posted pictures of her Thanksgiving dinner on her website fannetasticfood.com. A close friend of David Petraeus said the disgraced general spent Thanksgiving with Holly, his wife-of-38-years, as the couple try to rebuild their shattered marriage.